In collaboration with our national and regional partners, INGSA-Asia is organising the International Network for Government Science Advice East Asia Capacity Building Workshop in Kuala Lumpur between the 20th and 22nd of July 2019. Many of the challenges facing modern societies cannot be adequately addressed by solely using common sense, experience, ideological principles, or basic analytical methods. Whether it is climate change, renewable energy, natural disasters, food security, or disease pandemics, policymakers need scientific advice to inform their decisions. Obtaining rigorous and useful science advice in a timely manner is not a trivial matter and taking careful account of such advice in complex policy areas of interest to many different stakeholders is not always straightforward. 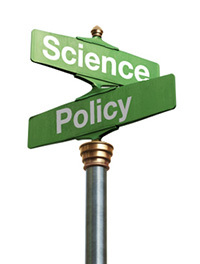 The interface between science, politics and society at large is a minefield for both policy-makers and scientists. While, science advice training may not be in the mainstream training of scientists, there is an increasing need for scientists to have science advice and communication skills to ensure that evidence-based policies result in positive impact to all stakeholders. Non-Communicable Diseases (NCDs) account for at least 60% of deaths globally and the Asia region makes up more than half of the global deaths due to NCDs. Cardiovascular diseases, cancer, diabetes and chronic respiratory diseases are the four most prevalent NCDs in the region with cardiovascular diseases accounting for the most deaths. NCDs are often associated with older age groups but recent development estimates that 30% of attributed deaths due to NCDs occur in the younger generation, between the ages of 30-69 years, These premature deaths are from preventable heart disease, stroke, diabetes, cancer and asthma. Unhealthy lifestyle habits such as using tobacco, unhealthy diets, lack of physical activities and excessive use of alcohol are the main risk factors for premature deaths by NCDs. NCDs are therefore complex and multifaceted; addressing NCDs will require multisectoral approaches and policies involving commitment from multiple stakeholders. NCDs are also affected by other uncontrollable external forces such as globalization and urbanization that change the population lifestyle at large. Thus, NCDs are not merely a health issue, but also political, trade and economic issues. This INGSA East Asia Workshop will be a great platform for participants to become aware of the importance of science advice as well as gain skills relevant to effective science advice; all within the context of addressing NCDs. To build regional networks for science advice among health practitioners, health science researchers and national health authorities. Apply the acquired skillsets in existing or new initiatives in the 12 months following the initial training and share their skillsets and experience with fellow researchers in their respective countries. Continue interacting with other participants via events and/or online means of communication. Training and meals during the workshop will be provided for free to all participants. Airfare and accommodation costs will be supported for only a selected number of participants. There will be some costs that will not be covered by the programme, such as visas and vaccinations; for which participants will need to seek support from their local institutions and/or personal funds. All applicants have to fill up the registration form and provide one recommendation letter from their proposed referee and brief curriculum vitae from this link https://goo.gl/forms/wPxbhBbVPGa21Xif2 .Please ensure that the support letters are sent using accredited institutional letter heads. The referee has to commit to be involved in future communications should the need arise. You can download the above information by clicking here.